Don't let your retro action figures get all messed up from just lying about! 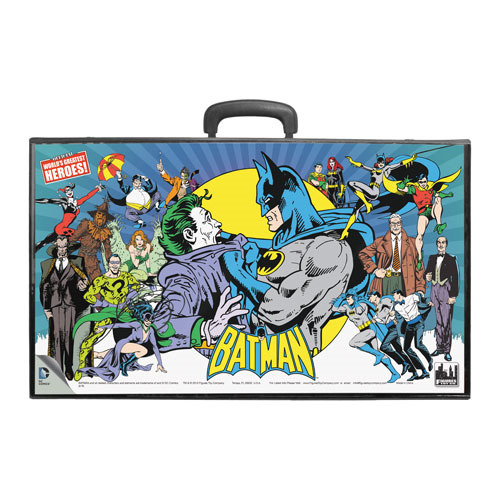 This awesome Batman Heroes vs. Villains Retro Action Figures Carry Case measures about 22-inches wide x 13-inches tall and includes spaces for 12 unpackaged figures and accessories. It's perfect for storing and carrying your 8-inch Batman Retro Action Figures or other Mego-style figures. It also features a cool design with images of many of your favorite characters! Ages 15 and over.